A babysitter in Hooper, Utah, was arrested on Saturday after an unusual incident in which police allege she held the individuals she was watching against their will for drinking all her vodka. 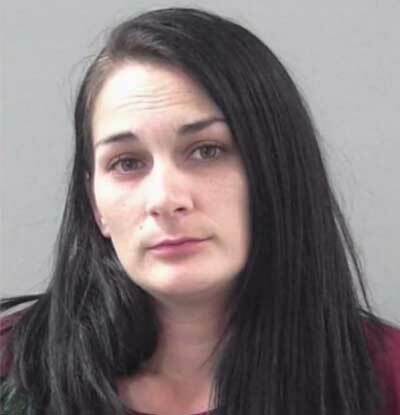 According to the Weber County Sheriff's Office, Brittani Robinson, 30, was arrested on suspicion of unlawful detention, threats of violence, robbery, intoxication, contributing to the delinquency of a minor, possession of a controlled substance and possession of drug paraphernalia. Police said Robinson was watching her 15 and 17-year-old nephews and the two nephews invited over friends, where police allege Robinson supplied the group with beer and vodka. Officials said she then forced the teen to take out their wallets and give her all their money or she would “break their faces.” The teens were held hostage for four to five hours before one of the boys escaped out of a window and called family members, police said. When police arrived, officials said they found the other three in the garage and also found marijuana and paraphernalia in Robinson’s possession. Police said that none of the boys were harmed in the incident.